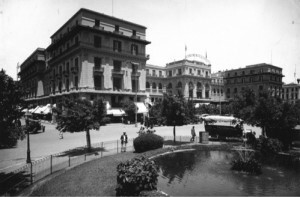 Through the first half of the 20th century the Continental-Savoy (known as the Grand Continental before 1924) on Opera Square was the great rival to Shepheard’s, just up the street. 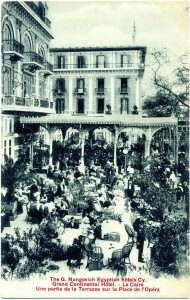 Like Shepheard’s it had a busy street-front terrace, hosted fabulous balls and dances, and attracted its fair show of famous guests. 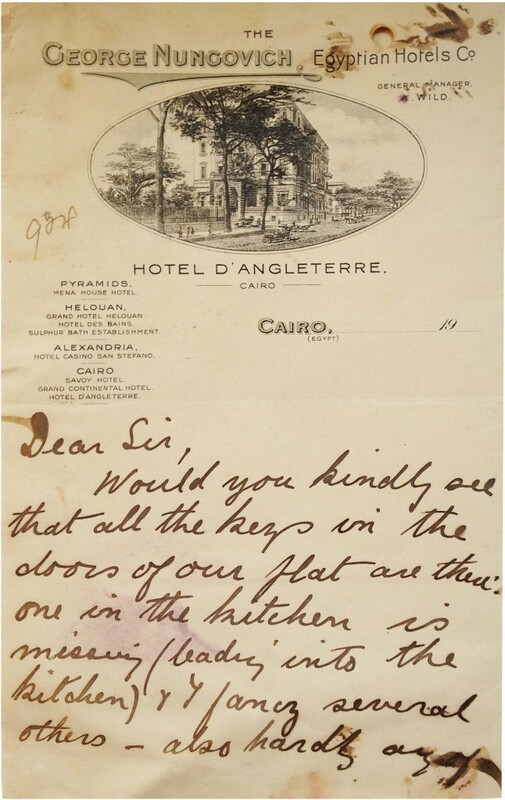 TE Lawrence lodged here when he first arrived in Cairo in December 1914, Lord Carnarvon succumbed to the malady brought on by an insect bite in Luxor in one of the Continental-Savoy’s suites in 1923, while in 1941 Major Orde Wingate attempted suicide in his bedroom by stabbing himself in the neck, twice, but survived. While Shepheard’s was burned down in the rioting of January 1952, the Continental-Savoy survived unscathed. Instead, it suffered a slow, painful decline into decrepitude eventually becoming so rundown that it had to stop accepting guests altogether by the early 1980s. 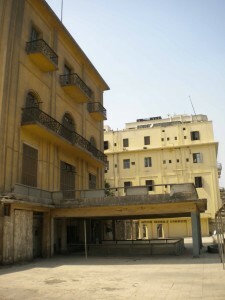 Since then this massive, four-storey, 300-plus room hotel has stood largely empty. 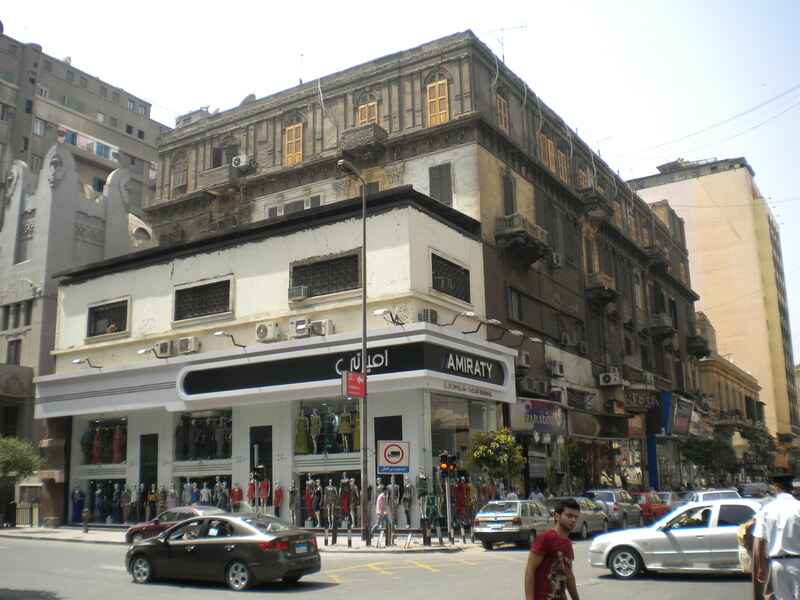 It’s a crazy situation – it occupies a whole city block on one of Downtown Cairo’s busiest squares. 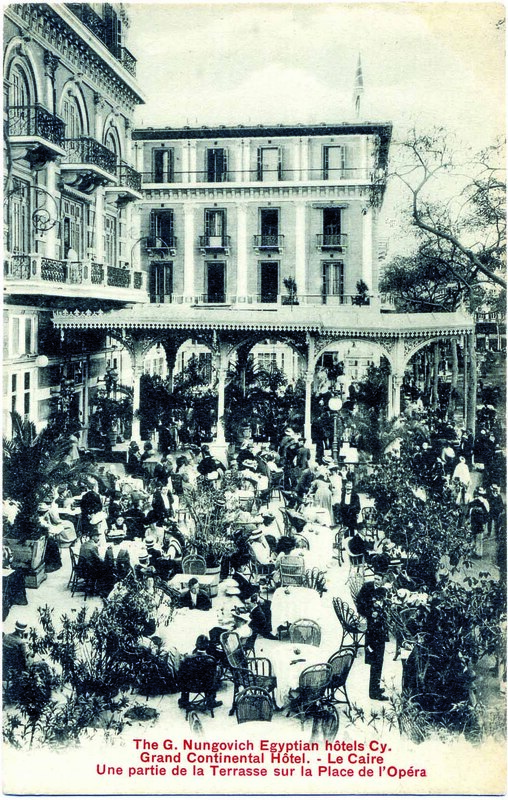 There have been several attempts to have the building demolished but each time the developers have been thwarted by legal challenges made by the owners of the shops that fill what was formerly the hotel’s front terrace and its back garden. So there it stands, crumbling. 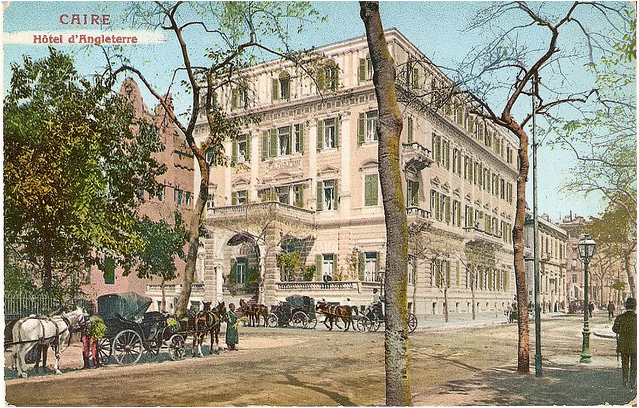 Until recently the only visitors were there to receive inoculations against cholera and yellow fever at the International Vaccination Centre, which occupied a small office at the rear of the former hotel’s dust-covered lobby – ‘bring your own needles,’ advised the Lonely Planet guide. I’ve been wanting to get inside the building for years but have always been stopped by one of the security guys who sit around watching TV behind what was the reception counter. 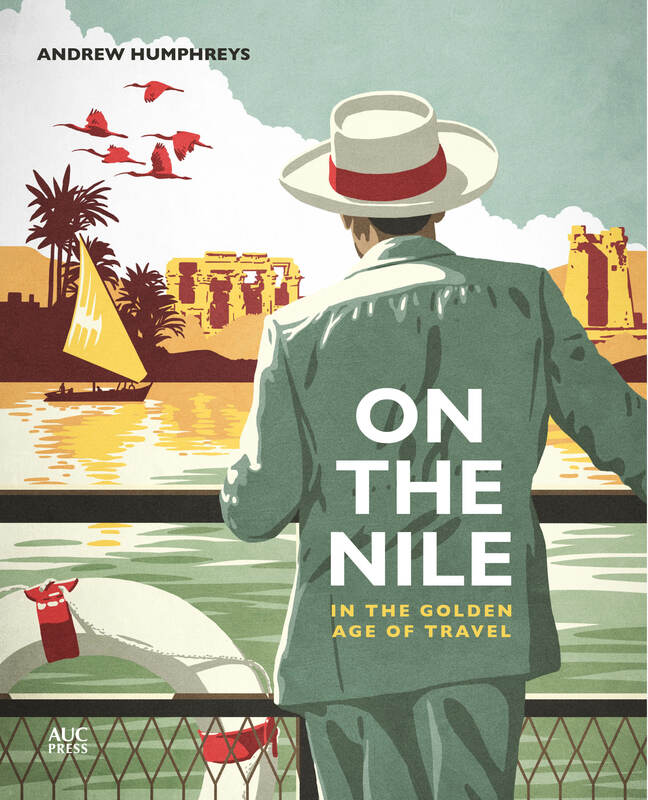 Last month I tried again, only this time I had Gadi with me to explain, in Arabic, that I was the author of a book about Egypt’s hotels and had written all about the Continental-Savoy and so could we have a look around. Plus we offered money. We didn’t get to see too much. All the upper floors and the halls on the ground floor are out of bounds for safety reasons. Instead we were led through a series of derelict rooms just off the lobby that had been stripped back to just the bare concrete and brick. 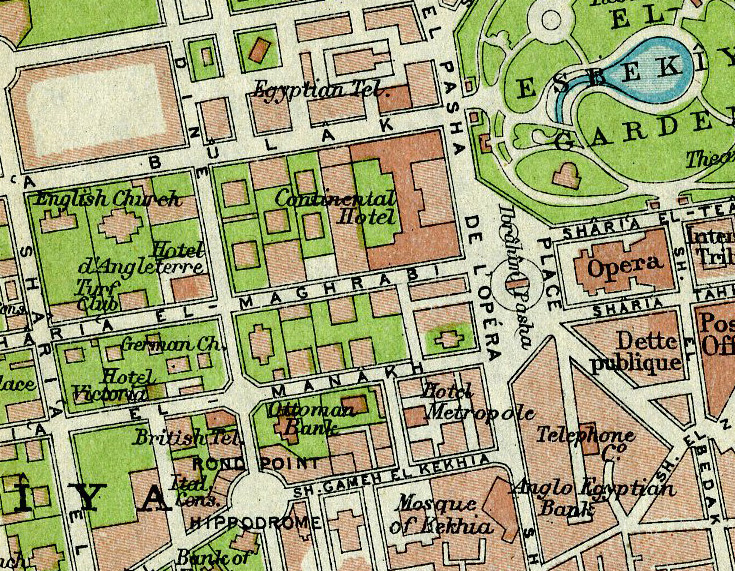 The only structural details we saw that seemed to have any historical provenance were a set of pharaonic-styled columns that looked like they could have perhaps dated to the late 19th century (there has been a hotel on this site since 1870). We went out of a door and up a crumbling external staircase and onto the roof of the shop units that now fill the area where the original street terrace would have been; we were allowed to take just one photo, which I took from roughly the same spot as another photographer had almost a century ago – see below. 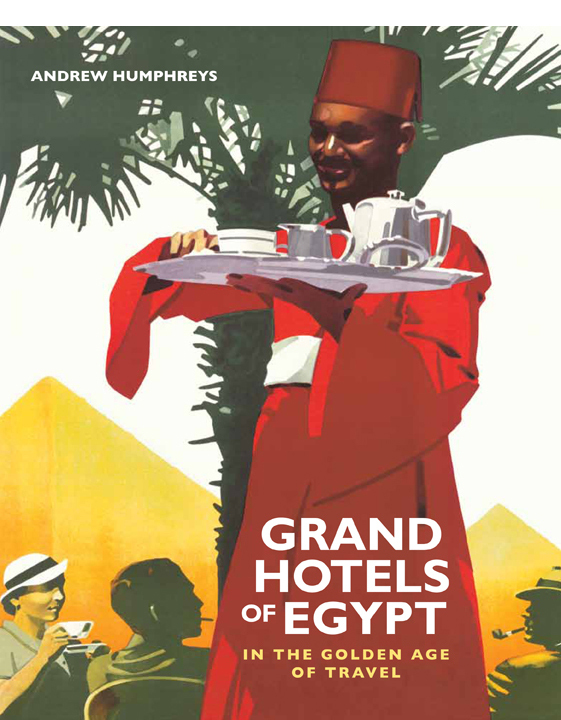 Back in 2010, when EGOTH, the government organisation responsible for Egypt’s hotels, pledged over $368m for the renovation of nine of the country’s historic properties (currently on hold), there was talk about also tackling the Continental-Savoy. 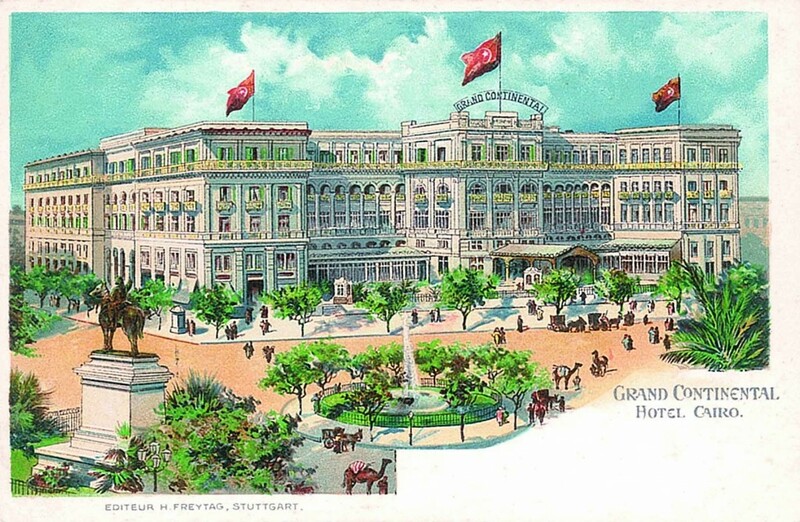 There was a suggestion that it be saved and returned to use as a hotel. Sadly, even the most cursory look around makes completely clear what a total fantasy this is. 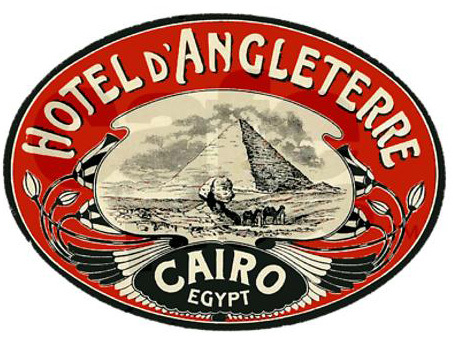 As much as it grieves me to say this, there is no saving the Continental-Savoy – Cairo’s oldest surviving, if non-functioning, hotel. The building is too far gone. If we’re honest, it’s also of little architectural merit and totally unsuited to modern usage. The big fear is what might replace it. The omens are not good. 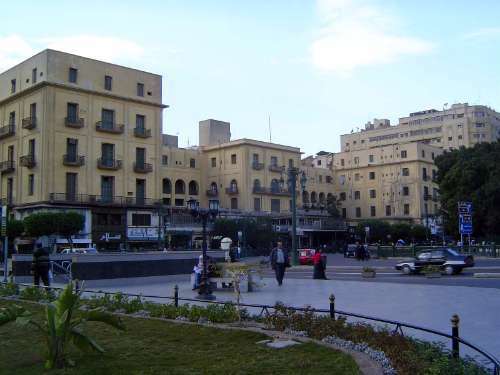 The last time a historic building on Opera Square was razed and replaced, Cairo lost an exquisite little opera house and gained only a concrete muli-storey car park.